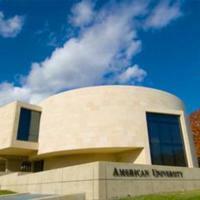 Since the founding of American University (AU) in 1914, its campus has expanded and transformed a great deal. 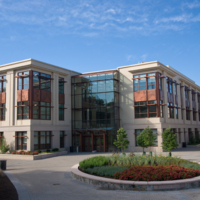 Today, the main campus is located on Massachusetts Avenue with additional locations including the Tenley Campus on Nebraska Avenue and the Washington College of Law on Massachusetts Avenue in Washington, DC. AU has seven residence halls and several academic buildings to accommodate students pursuing fields of arts, humanities, sciences, social sciences, and education. The campus continues to change as new buildings, like the School of International Service (2010), are erected and as early buildings, like McKinley, are renovated. 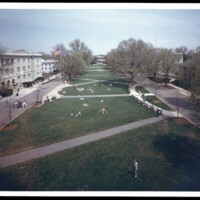 View of the American University quad taken looking north toward the Kay Spiritual Life Center. 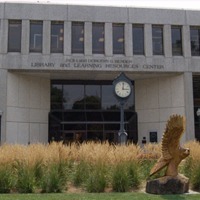 AU's Bender Library located at the south end of the University quad. Butler Pavilion, Khashoggi Center, and Reeves Aquatic Center. This complex is now known as Bender Arena. 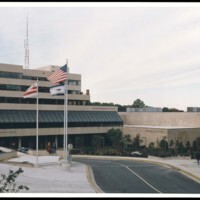 AU's Tenley Campus in Washington, DC. 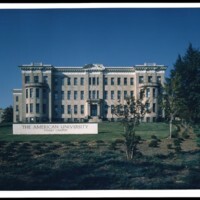 AU's School of International Service building.